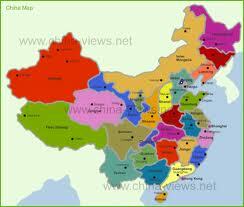 MUMBAI – MAHARASHTRA – INDIA MAY 07 , 2013 08.30 P.M.
China’s India war of 1962 is still fresh in my memory land . 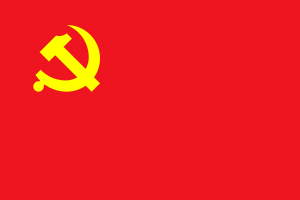 Humiliation of my country is yet to get obfuscated in my sub-conscious mind . Deep scars of Chinese slap is yet to get healed in my psyche . 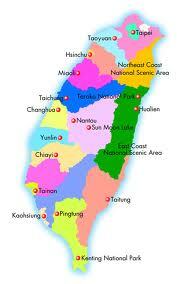 Memory of insulting invasion of our motherland refuses to go away from my being . 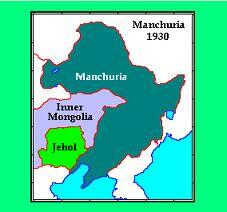 And again almost after 50 years same hegemonic China enacted second part of the same act in 2013 . 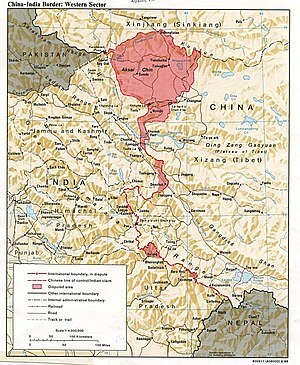 China , on April 15 , 2013 , intruded 19 km. into Ladakh . She is showing her ugly , belligerent and bellicose face once again . 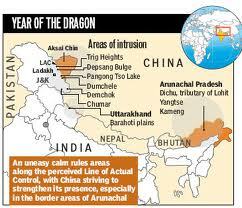 Once again Ladakh is facing the brunt of Chinese hegemony . Chinese are as brazen as ever . And the ruling party of our country , the Indian National Congress , is as pliant , as subservient , as ever . 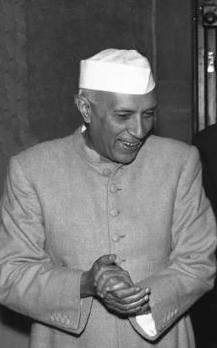 Like its tallest leader Jawahar Lal Nehru , present – day leaders of Congress are again ready for genuflection . 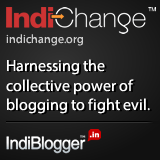 Sovereignty of India is being compromised unabashedly . 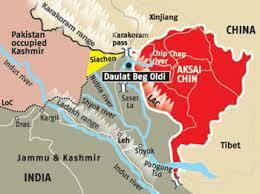 Daulat Beg Oldie and Chumar are the latest flash points . 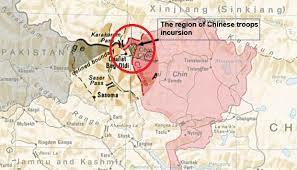 Chinese soldiers entered into our territory , erected tents and refused to return to their earlier position . And it is not a minor incursion . 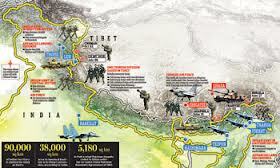 Their intrusion is 19 km deep into our Ladakh . 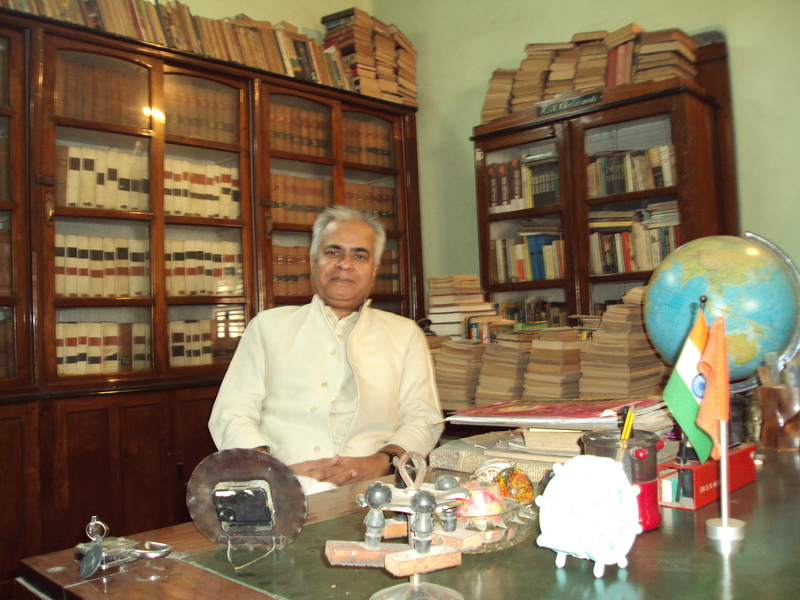 Minister for External Affairs , Shri Salman Khurshid , is ambivalent as usual . 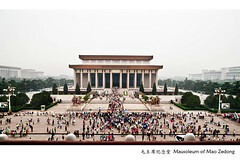 Government of India and our Prime Minister Shri Manmohan Singh is stoic as usual . Something is being cooking up behind our back . 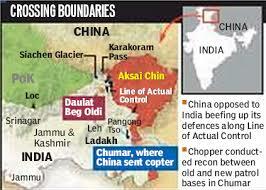 All of a sudden news came that Chinese withdrew from Ladakh and the face off ended . 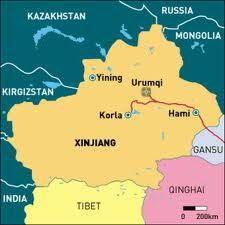 Government Of India spokesperson is saying that Chinese withdrawal from our territory is unconditional . That they voluntarily returned to the pre April 15 position . But it seems that Congress , the Indian National Congress , is playing a dirty and dangerous game . 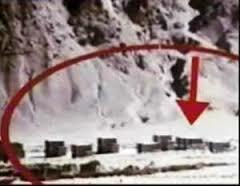 The buzz is that our government agreed to dismantle the infrastructure in Daulat Beg Oldie sector of Ladakh . They have compromised Chumar post . This particular post overlooks Karakoram Pass . The Karakoram Pass and the Karakoram highway is the lifeline of Pakistan for Pakistan Occupied Kashmir [ POK ] . 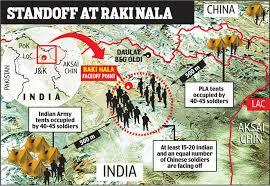 Indian army can keep vigil on troop movement and clandestine arm supply and on any Sino-Pak nefarious designs . That is the reason for the latest face off . 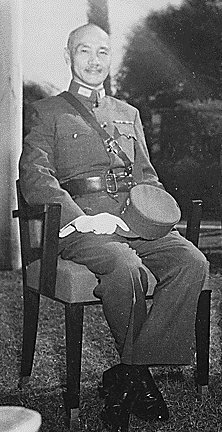 It is widely believed that to force India to dismantle the bunkers and Chumar watch tower , China sent her soldiers to squat on Indian soil . 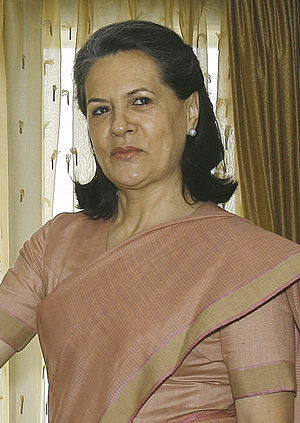 She showed audacious belligerence and timid Congress succumbed to the pressure and agreed to compromise Chumar post . 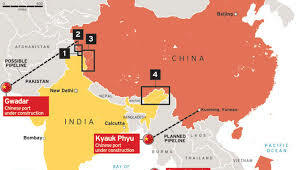 China withdrew from Indian soil on May 06 , 2013 . But saddest part is that India also withdrew from Indian soil . 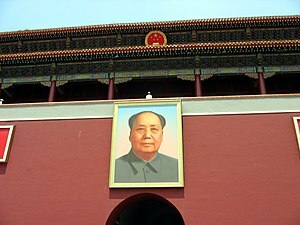 If needed , China can come again . 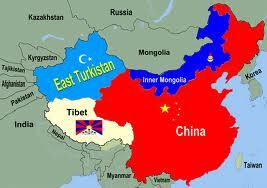 It is not the question of China’s intrusion or withdrawal . It is question of India’s genuflection . It is question of our leaders betrayal . Since the days of HINDI CHINI BHAI BHAI , to the day of present day economic cooperation , nothing has changed in the belligerent attitude of China or the subservient attitude of our leaders of Congress . 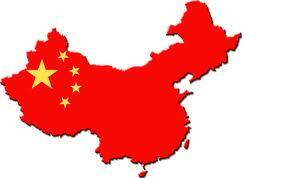 China has a problem with all her neighbours . 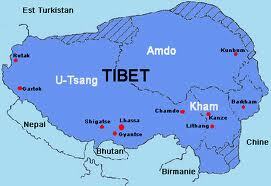 Be it India in the south , be it Indo – China in south – east , be it Taiwan in the east , be it Japan in north – east or be it Mongolia in the north . 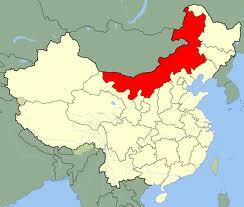 China’s thirst for land and more land is unquenchable . We have to be careful . We have to be vigilant . 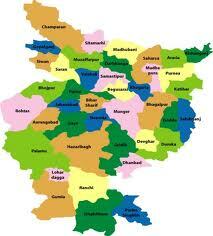 Congress has history of not protecting our motherland . They are compulsive liars . They can go to any length for protecting their throne , but not the country . 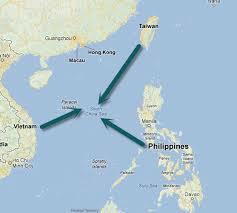 According to me we should engage Japan , Mongolia , Taiwan , Vietnam and Philippines in this war against China’s hegemony and her territorial invasions . I , on behalf of all the students and staff of VIDUR Acting Institute , which is known as Vidur’s Kreating Charakters denounce China , her bellicose and belligerent leaders and also the spineless leaders of Congress . Once upon a time there was a sardar known as Maharaja Ranjit Singh , who conquered Ladakh . Alas ! 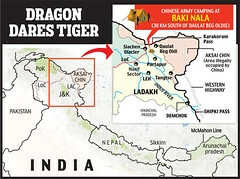 Now there is a sardar known as prime minister Manmohan Singh , who compromised Ladakh .